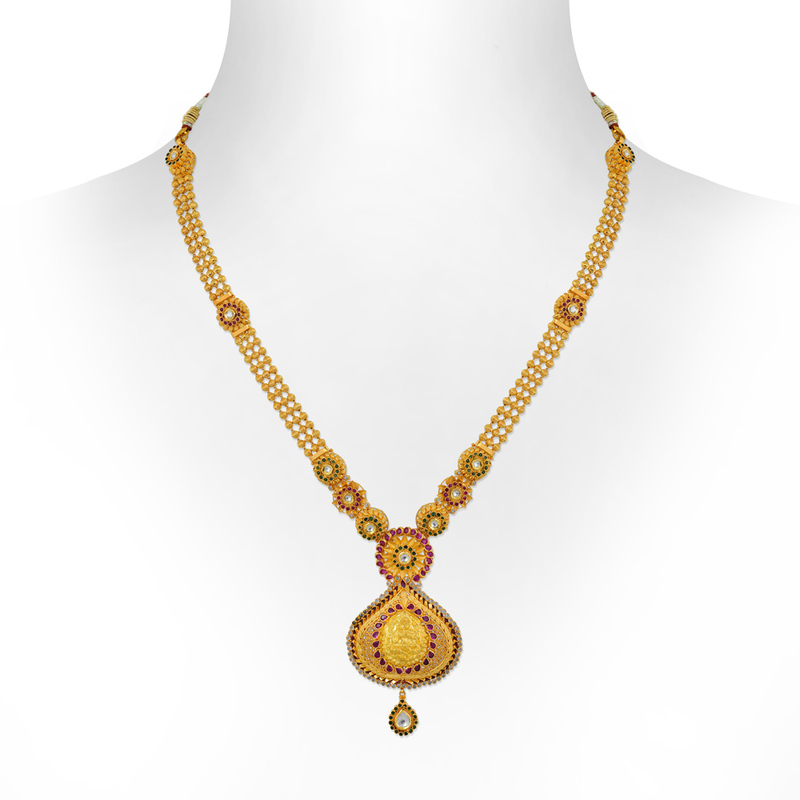 This 22 KT gold necklace with a stone weight of 7.35, with all its sheen and shine, is absolutely impossible to resist. Its true beauty is deeply embedded in its simplicity, much like a self-aware woman of substance. This necklace embodies the same decided spirit that defines you.